British Beatles Fan Club: Woolton Baths Open for Heritage Days in September! 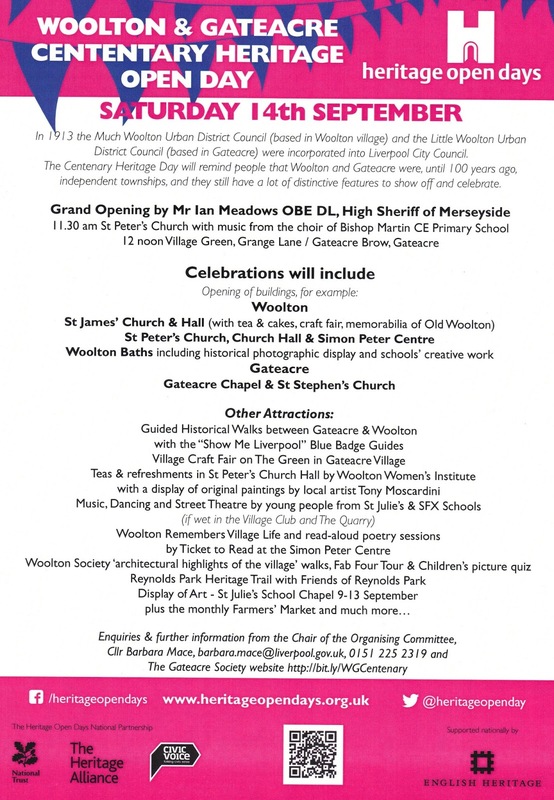 Woolton Baths Open for Heritage Days in September! Visitors to Woolton during International Beatle Week were delighted to discover that Woolton Baths, where both John and Paul went swimming as children, were open for visitors on August 22 and 23. Volunteers from the Residents Association, Save Woolton Pool Fund and Woolton swimming club staffed the opening from 10am to 3pm each day. In total 191 people attended the 2 day event, and £700 was raised towards the Restoration Project. The British Beatles Fan Club is delighted and privileged to support the campaign, and it is therefore our pleasure to be able to announce that the Baths will once again be open again as part of the celebrations for Woolton and Gateacre Centenary Heritage Open Day! The Baths will be open from 10am to 3pm on Thursday 12th, Friday 13th and Saturday 14th September, with a variety of heritage information and historical photographs on display, together with a sample of the Baths' 120th Birthday cards. Please don’t forget this is an ongoing project and we need your help with both volunteers and donations to help keep it on track and succeed.